There are several myths about attorneys that float their way around the community, especially in regard to personal injury lawyers. The truth of the matter is that personal injury lawyers strive to help their clients seek compensation for any damages they are eligible for. Personal injury lawyers give a legal voice to those who are injured at no fault of their own. Our team of personal injury lawyers at The Edwards Law Firm have years of experience practicing personal injury law. Their practice areas include automobile accidents, medical malpractice, wrongful death and more. If you’re looking for a personal injury lawyer in Tulsa, Oklahoma you can trust, contact us today. 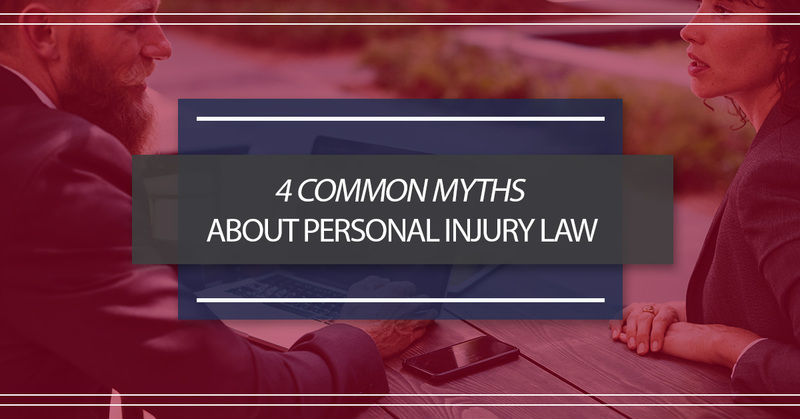 In this blog post, we reveal the truth about four myths regarding personal injury law. Myth 1: My injuries were minor so I don’t need a personal injury lawyer. We all know medical bills in the U.S. aren’t cheap, and even if you suffer from the smallest of injuries from your incident, it can still cost you a lot of money—short-term and possibly even long-term, if untreated. You should hold whoever injures you responsible, no matter how significant you think the damages are. Myth 2: My insurance/the party at fault will cover all my injury costs. In most personal injury cases, insurance companies are responsible to pay for your claim, not the actual individual who was responsible for your injuries. And that might sound fine and dandy, but insurance companies aren’t in the business to help people who are suffering. They oftentimes will only pay you the least amount of money possible so your claim goes away. A personal injury lawyer will pursue any means of compensation for your injuries. Myth 3: I have more than enough time to file a lawsuit. Unfortunately, there is a statute of limitations on personal injury claims, which means you shouldn’t procrastinate or wait to file one. That time starts the second you receive any injuries, so consult a personal injury lawyer as soon as you can after your accident. Myth 4: Consulting with a personal injury lawyer will be expensive. Affordability is one of our clients’ top concerns when it comes to seeking legal counsel. That’s why simply talking to one of our personal injury lawyers at The Edwards Law Firm is free. We don’t believe individuals should be intimidated, scared or embarrassed to talk to an attorney about their situation. Personal injury claims can be traumatic and they can happen unexpectedly to nearly anybody. When you speak with our attorneys, we’ll help you determine if you have a valid case. From there, we work on a contingency-only basis, which means we only get paid if you receive compensation for your claim. Our personal injury lawyers at The Edwards Law Firm provide legal counsel for personal injury claims to individuals in the Tulsa area and surrounding communities. Let us help you determine if you could benefit from a personal injury case and provide you with outstanding legal representation. For more information or to schedule a free case evaluation, call us at (918) 221-0516 or reach us at our toll-free number at (888) 600-9836 during business hours. You can also fill out our online form if that is a more convenient option.